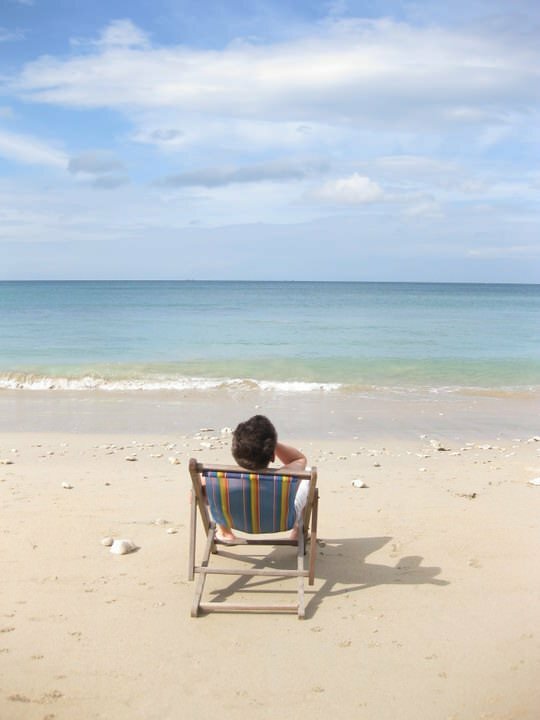 There are many factors that play a part in finding the perfect beach. To some, this may mean turquoise waters with snow-like sand, while for others, the most epic beaches may be secluded and have a rocky coastline, with pebbles in the water. Some prefer beach-bars and music, while others like peace & quiet. To each, their own beach! 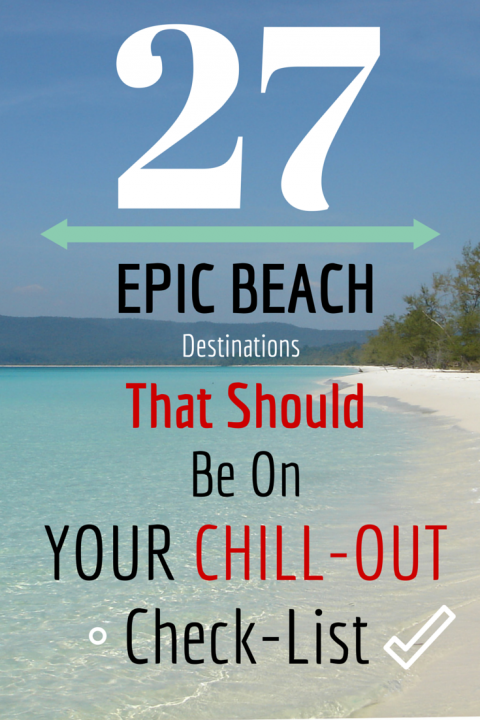 We’ve personally travelled to all of these beaches, and all 27 of them (in no particular order) are awesome places to soak up some rays, chill-out and enjoy the sand and sea. One for the “home” team! We’ve now lived in Grenada for almost a year and love it for many reasons, but one of the best things about living in this West Indies island is that it is fringed by stunning beaches. Morne Rouge is pristine, and is always quiet. 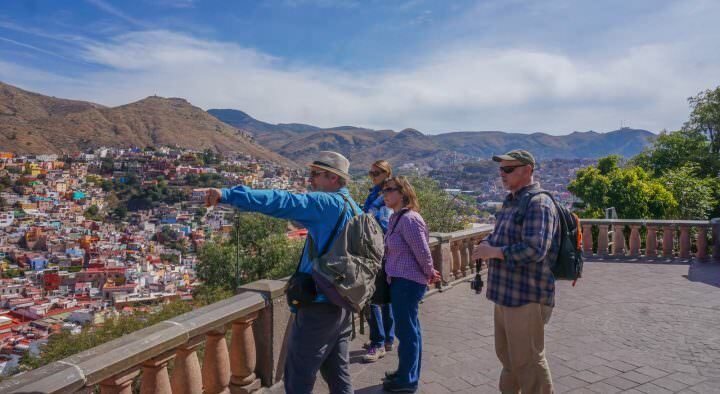 There are a couple of hotels, some residential homes and a handful of small restaurants. Almond trees provide excellent shade, the sand is soft and the sea is perfectly calm. 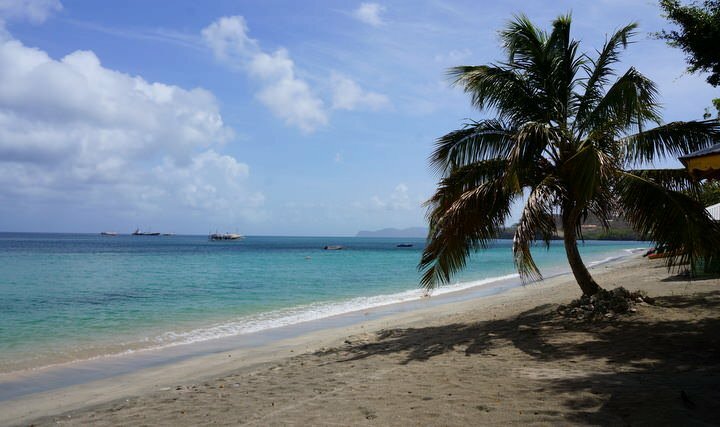 This is our favourite beach in Grenada for sure! 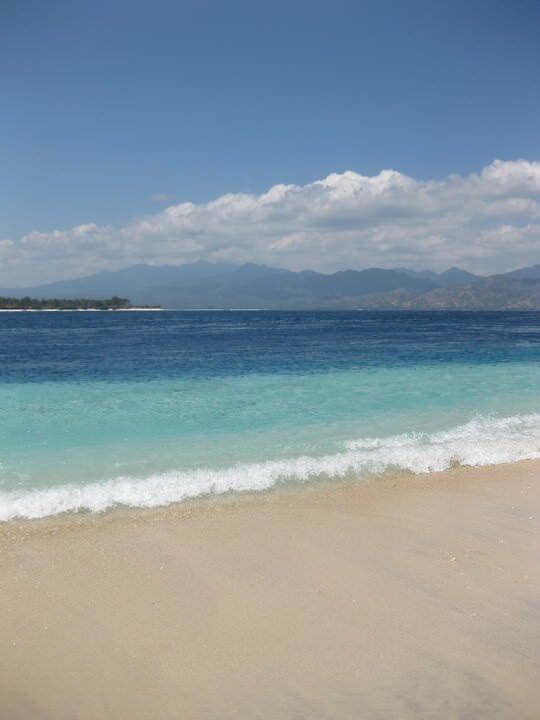 There are three Gili Islands, and Gili “T” is the most developed of the three. Apart from lounging on the white sand, you can climb up the only hill on the island to enjoy sunset, go scuba diving and snorkelling or circumnavigate the island on foot. 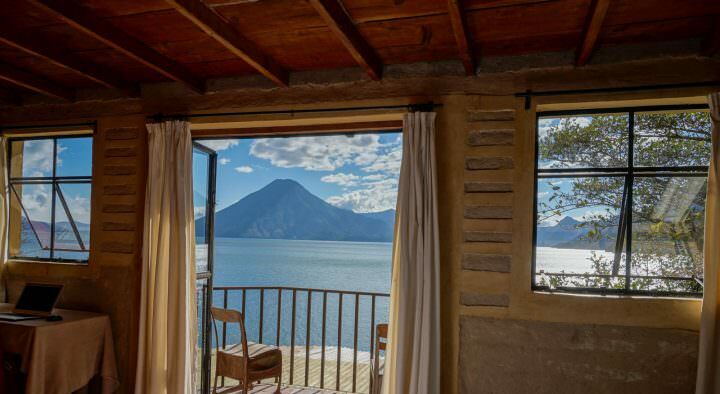 This is definitely an underrated place in Mexico. While most people are heading to Playa del Carmen, Cancun and Puerto Vallarta, you should head here and have the whole island basically to yourself! The Gulf of Mexico and Caribbean waters meet at Holbox creating a beautiful colour. 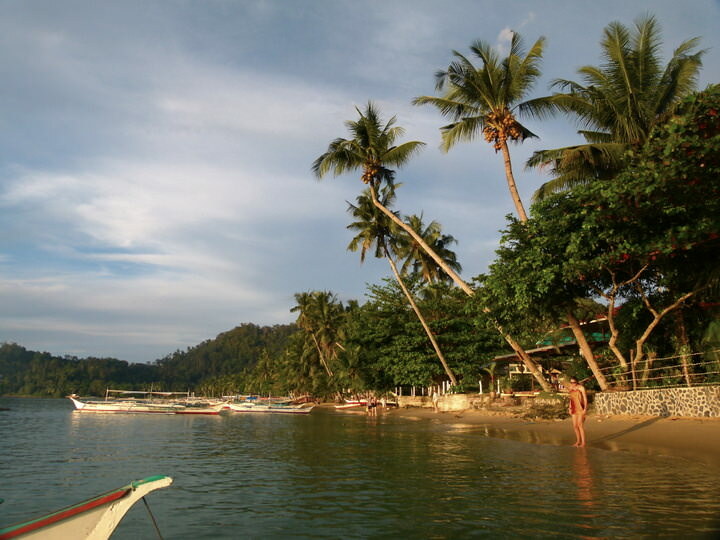 Here you can Laze on the sand, go swimming, see Whale Sharks, watch sunset, go fishing, and more. Koh Chang located on the northeast coast of Thailand is a beautiful island. There are many beaches here, but White Sands Beach is a beauty! Most of the attractions and beaches are on the western side of the island, but the eastern side is wonderfully unexplored. Try to get a bungalow/hut on White Sands Beach, and enjoy sunset from your room! This is probably our favourite beach to date, but part of that has to do with the fact that we were there in 2008, before there was any development. It was definitely an adventure getting out to Koh Rong. Long Beach is a long stretch of squeaky-clean, soft, white sand with flawless aqua-marine waters. Although there is some development now, it’s still quiet compared to most of the other beaches in the region. There wasn’t much to do when we first came here, but nowadays you can go snorkelling, hike to a nearby waterfall, play beach volleyball, go swimming and do a lot of relaxing. The main beach is located right at the town of Hillsborough, on the island of Carriacou, which is a part of the nation of Grenada. If you’re taking a ferry, you’ll be greeted by this long stretch of sand as soon as you arrive. While in the town, you can see this beach from almost everywhere. Enjoy a rum punch from one of the waterfront beach bars, walk the long sandy stretch, or just chill out. 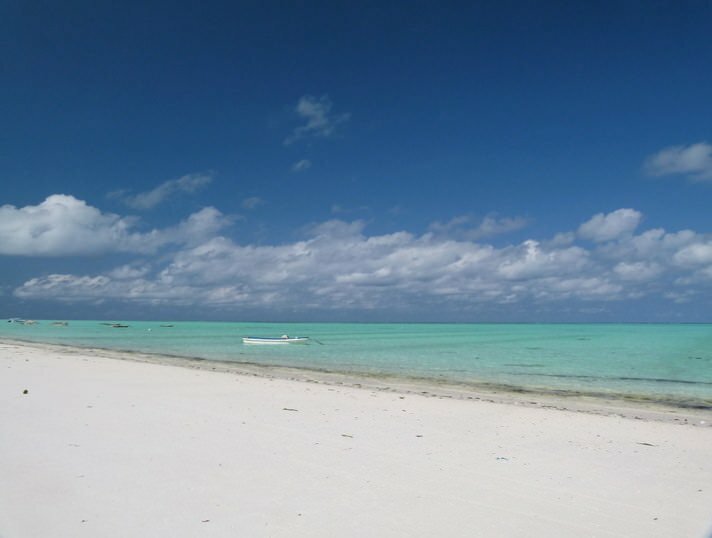 However, if you want a quieter beach experience, check out Paradise Beach or the nearby White and Sandy Islands. This place is gorgeous! There’s one bar/restaurant located on the beach and if you buy a drink or a meal, you can use the lounge chairs and beautiful gazebos for free. The sand here is an incredible silky white and the water is beautiful! Rent a kayak or paddle board, get a massage, or just chill out and read a book. There’s just something special about Union Island. 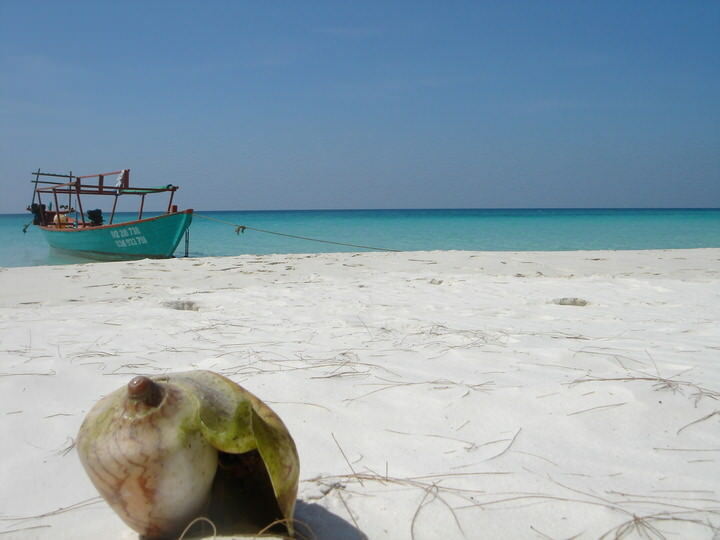 There are many beaches on the island of Phu Quoc, but this one is said to be the best. It’s located on the east side and is quite deserted and a little bit difficult to find. There are a couple of restaurants and bungalows here, so you won’t be totally alone. 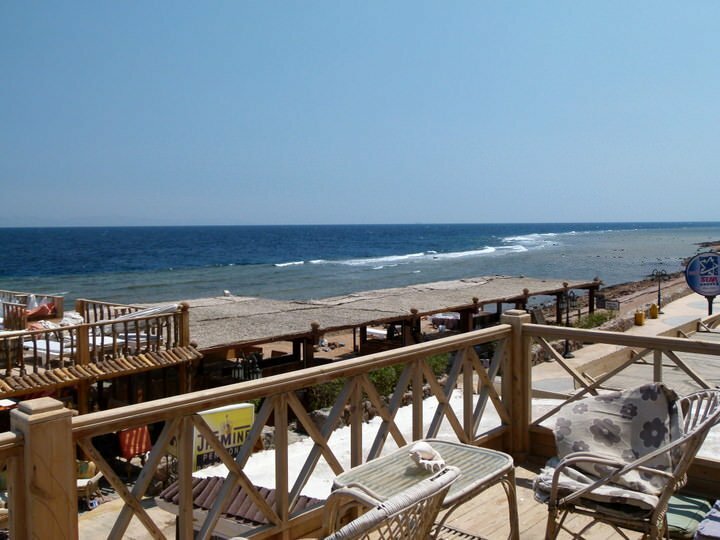 Swimming and relaxing are high on the agenda on Sao Beach. This is an exclusive, luxury island near Union Island in the Grenadines, and you’ll need to be staying at the Palm Island Resort in order to enjoy the beach. 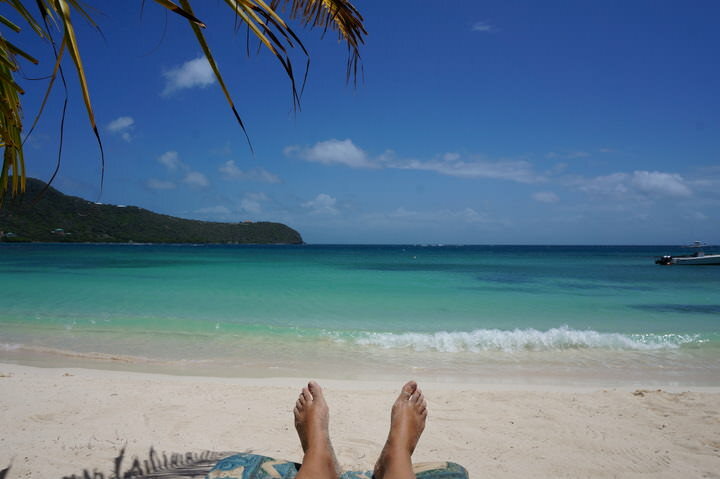 However, if you take a sailing tour from Union Island, you will stop here for a little while! The beach is phenomenal and the slope into the water is at a nice gradient for swimming. 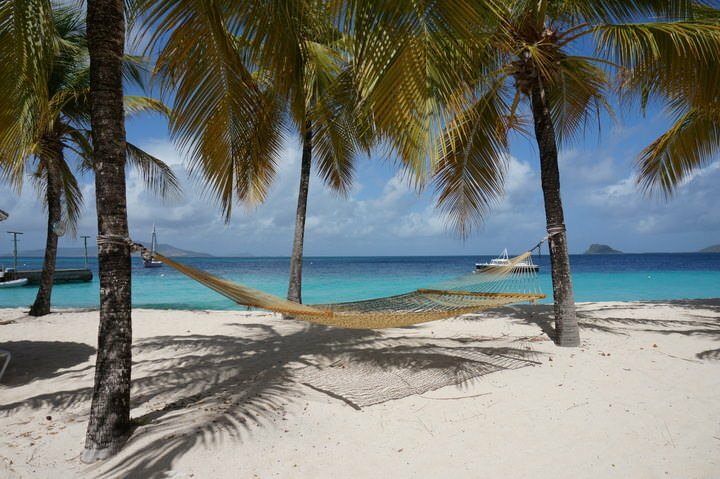 This is the ultimate place to lay in a hammock with a rum punch in hand, but you better start saving if you want to stay here overnight because rooms start at $2,500 / night! The Tobago Cays is a stunning archipelago comprising 5 uninhabited islands. To get here, you’ll need to have your own boat, or rent a catamaran/yacht or sailboat. This isn’t one beach in particular, but a string of gorgeous jewels and it is a place like no other. Snorkelling with turtles and the occasional reef shark, chillin’ on the beach and swimming in the clear waters are the highlights here. This beach is amazing. It’s one of the most gorgeous beaches we’ve ever seen, yet it’s not overly busy or overdeveloped. Spanning for 3 kilometers, you can either walk the length of the beach, go swimming, try scuba diving, hangout at one of the beach bars, or, bring your own cooler of food and drinks and make a picnic. This is also an excellent spot to watch the sun set. Ah, the perfect cove! The beaches in this area of Mexico are known for being good spots for surfing, as are most of the beaches on the Pacific Coast. However, Carrizalillo Beach is in a cove, which means it’s sheltered from the big waves. The sand is golden here, and you have to descend over 100 stairs to get to the beach (and then back up! ), but that’s what is so special about it. The water is great for swimming, you can rent paddle boards, enjoy a beer or a snack from the beach shacks and watch the sun set. The island of Koh Lanta is not as popular as most of the other islands in Thailand, which is why its beaches are so unspoiled! Hiring a motorbike is the best way to see all of the stretches of sand, both hidden and popular. The water around this island is calm and safe for swimming. 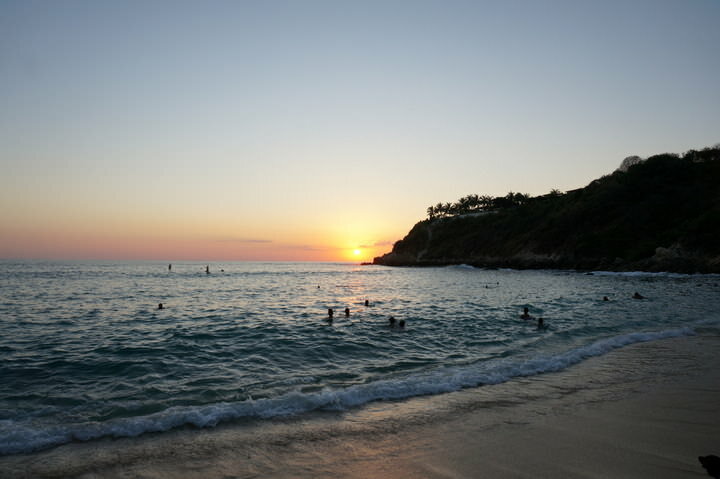 Some of the beaches are undeveloped, while others are built up and offer many amenities for tourists. 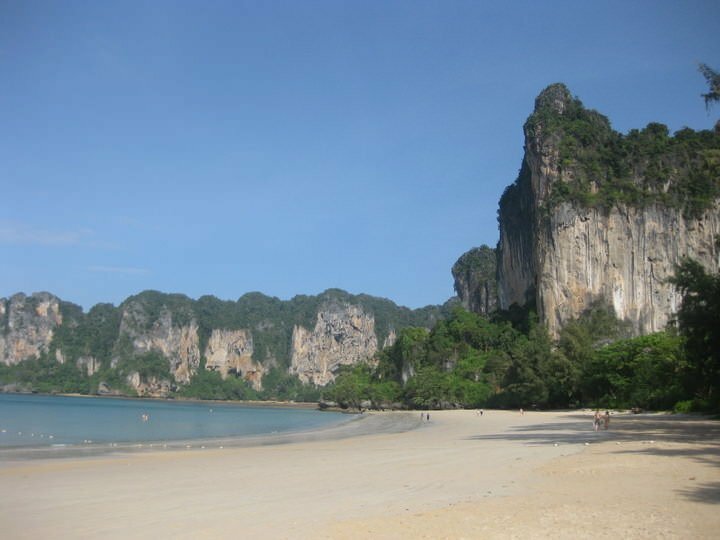 Railay West Beach is beautiful, but don’t expect a secluded spot, as this is where the boats arrive. Regardless, it’s still a gorgeous setting, with massive limestone karsts jutting out of the ground. 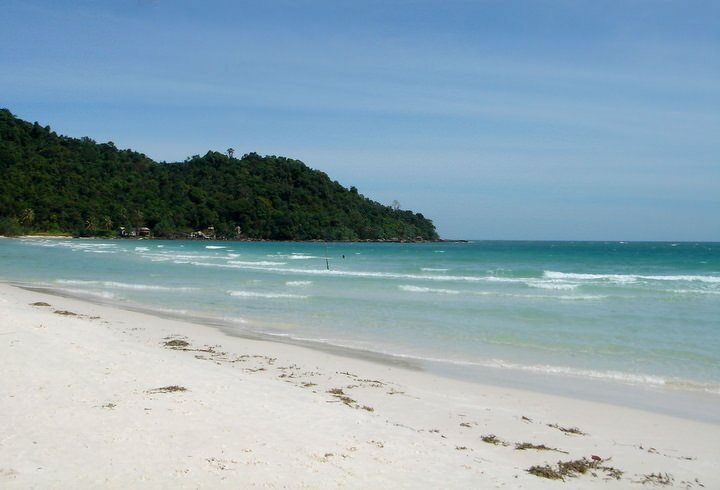 The nearby beaches of Tonsai and Haad Phra Nang are also incredible. 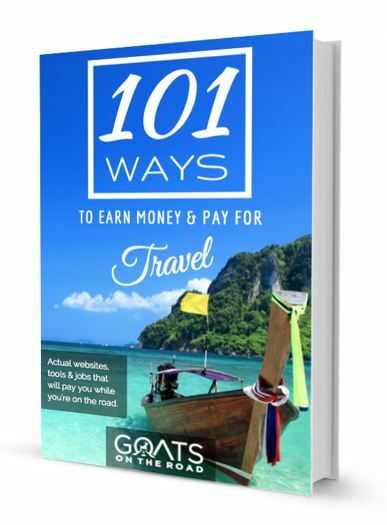 Although Railay is attached to the mainland, it’s only accessible by boat, making it feel like you’re on an island. This is the place to come for rock-climbing, hiking, island-hopping and swimming. Sri Lanka’s beaches are golden and beautiful. Some of them can be dangerous at times due to rip-tides, so always heed the advice of locals before heading in for a dip. 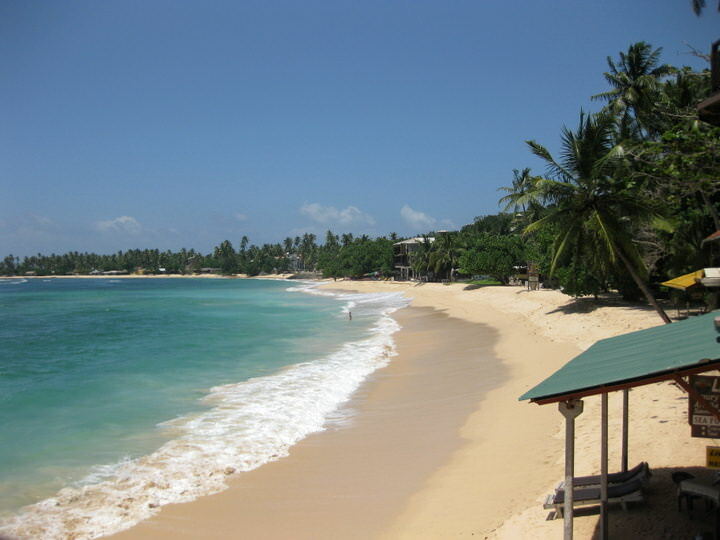 However, the beach at Unawatuna is a beautiful bay that is totally safe for swimming. At one end there is bleach-white stupa set on the cliff, which is a great spot to watch sunset. There are restaurants, small guesthouses and palm trees lining the shores here. The waves at the beach are fairly small, but some days they are a bit bigger, making it a good place to do some boogie-boarding! 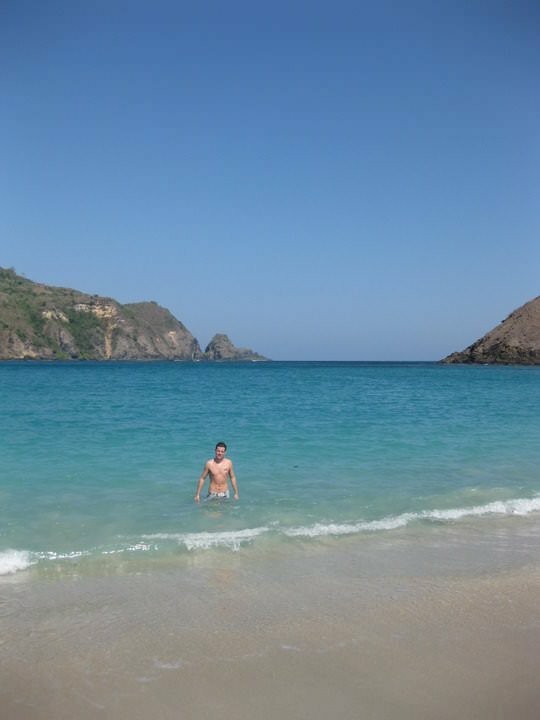 If you come to Lombok island, you have to visit Kuta. There’s a main beach in the town, but that’s not the one that you want to see. Take a motorbike and head off through the countryside, past herds of buffalo, to the top of a very rocky road. Down below, you’ll see a beautiful cove! The water here is brilliant blue, and the seas are calm. Pack a picnic and water, as there aren’t any restaurants here. 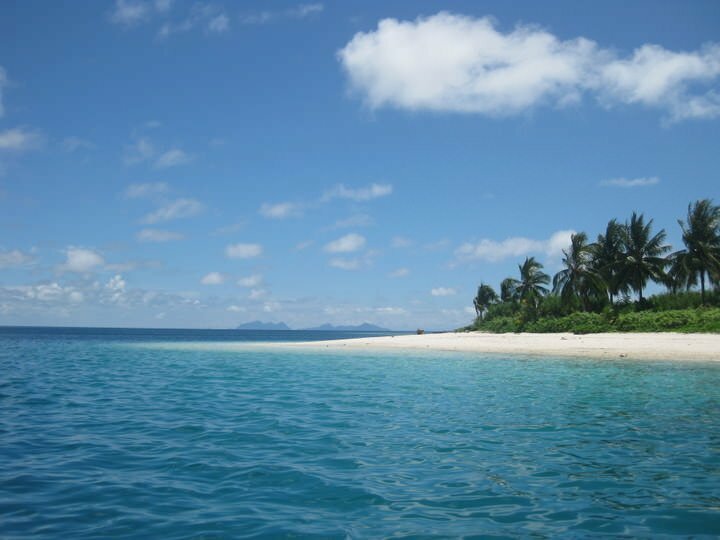 The island of Borneo offers excellent beaches. 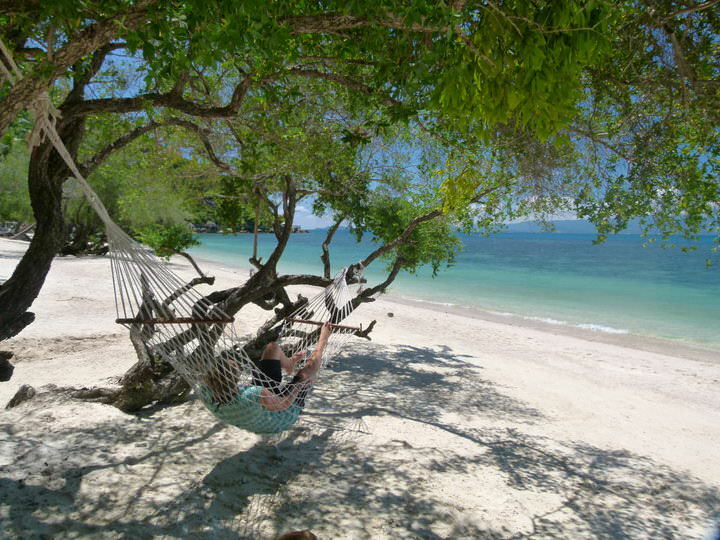 Tanjung Aru Beach is located near Kota Kinabalu, and is very popular with locals. 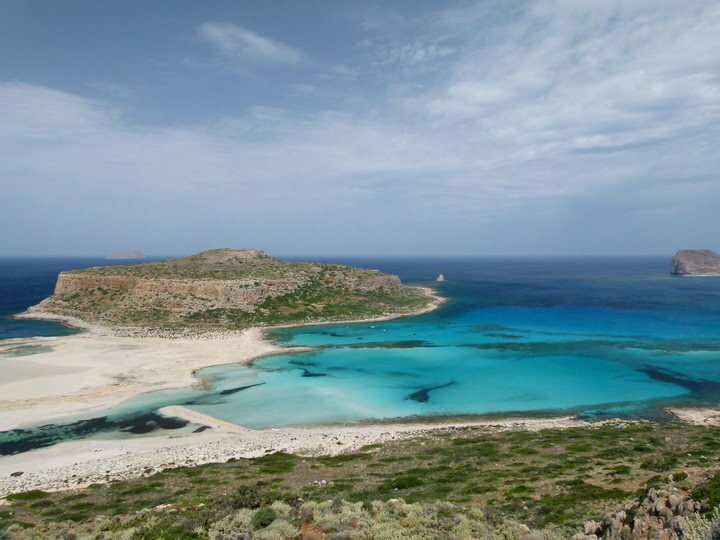 However, to find the secluded beaches, head to the islands and beaches just off the coast of Semporna! The island of Sipadan is one of the best dive spots in the world…but it’s a very exclusive spot. Luckily, there are many snorkelling, diving and island hopping opportunities on the nearby atolls. The water here is serene and the marine life is abundant. Dahab is an awesome place for backpacking, but it’s mostly famous for the Blue Hole dive site! There’s not exactly a beach here per se, but after finishing your meal at a restaurant, you can literally just walk straight into the water. Everything is built up right along the water’s edge, making everywhere a great spot for swimming. It’s a bit rocky, but the Red Sea is very clear, the coral is some of the best anywhere and the sea life is plentiful. 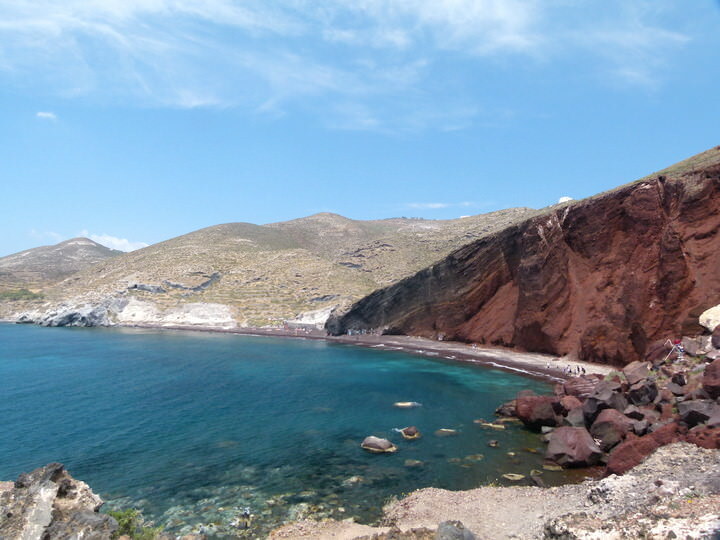 The aptly named Red Beach is a must-see on your trip to Crete. This beach has the usual see-through waters that one comes to expect from the Mediterranean, but it also has some rocks in the water, which is typical of this area. Regardless, the rusty coloured cliff, reddish sand and gorgeous water makes this a perfect spot to spend the afternoon. This is one of the most unusual beaches anywhere. Ah, Balos Beach! This place stole our hearts. It’s not easy to get here, so you have to really want to put in the effort to visit this off-track gem. After driving along a rocky cliff edge, past numerous sheep and goats, you’ll finally arrive at a dirt parking lot. You then need to walk down a steep path before arriving at one of the best beaches in the world. Wear good shoes for the walk down, but bring flip-flops for enjoying the sand, or just go barefoot. There’s nothing here except a sand bar with a few chairs and umbrellas, and a lovely cove for swimming. Turkey has numerous beaches. Many people spend their time in Marmaris or Ölüdeniz, which are busy spots and have a lot going on – think jet skiing, boat tours, parasailing and other water sports. 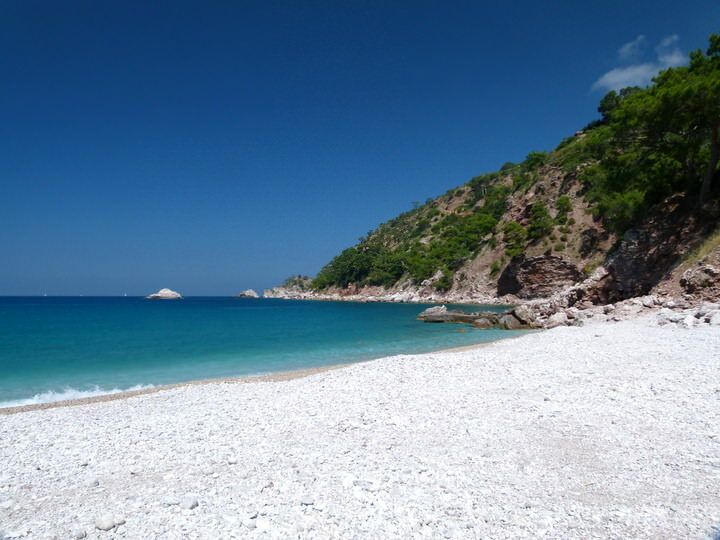 But if you want to visit a pristine, secluded beach, check out Kabak! As with some of the beaches in the Mediterranean, this one has more rocks than sand, but that doesn’t take away from its beauty. Not only is this beach beautiful, but there are many things to see and do in the area. This is a popular backpacker hangout as well, with guesthouses offering trips to see the eternal flames of Chimera and hiking excursions as well. Kayaking is also an option, as is checking out some of the many Roman ruins and artifacts. During the day, everyone is at the beach! South Africa’s rocky coastline is epic! 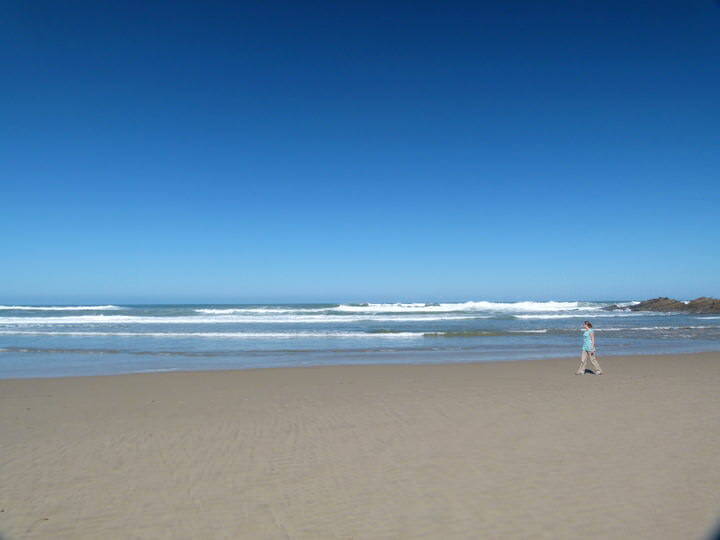 There are loads of beaches in S.A. offering some great waves for surfers and underwater life for divers. Many of the beaches aren’t safe for swimming due to rough waters, and the presence of dangerous sharks. Always ask before going in the water. Regardless, the beaches are still beautiful to look at and are perfect spots to get away from it all and enjoy a picnic, or a stroll. 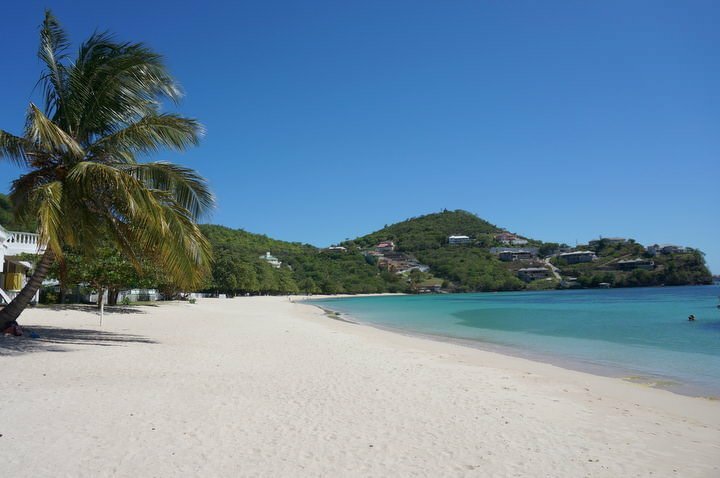 You cant beat the feeling of strolling along the long stretch of beach at St. John’s – just don’t go in the water there! When our rickety sailboat pulled up at this exotic island in the Quirimbas Archipelago, we thought we’d died and gone to heaven. Seriously, this place is a dream! On one end of the island, you’ll find an exclusive fly in / fly out resort, while on the other end, there is a local village. In between is nothing but towering palm trees, delicate white sand and refreshing waters for swimming. Zanzibar is one of those places that just sounds exotic. 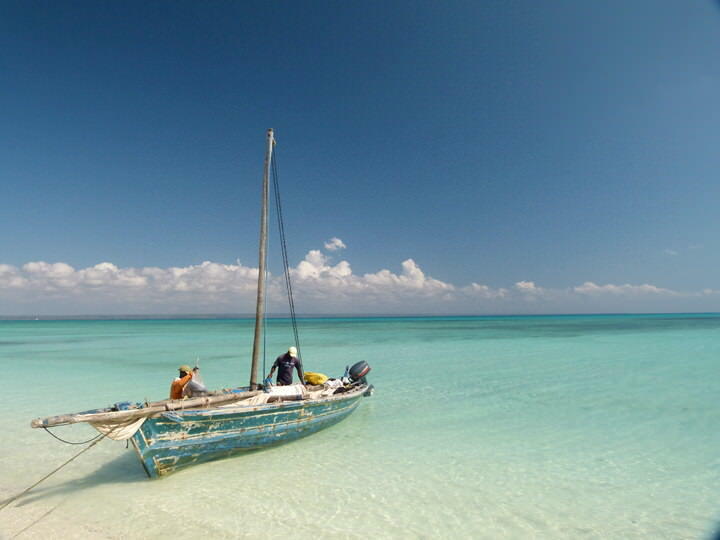 There are quite a few beaches on the island, but we recommend Paje. This town is small and the beach is practically empty. There are just a few restaurants and a couple of hotels to meet your needs. 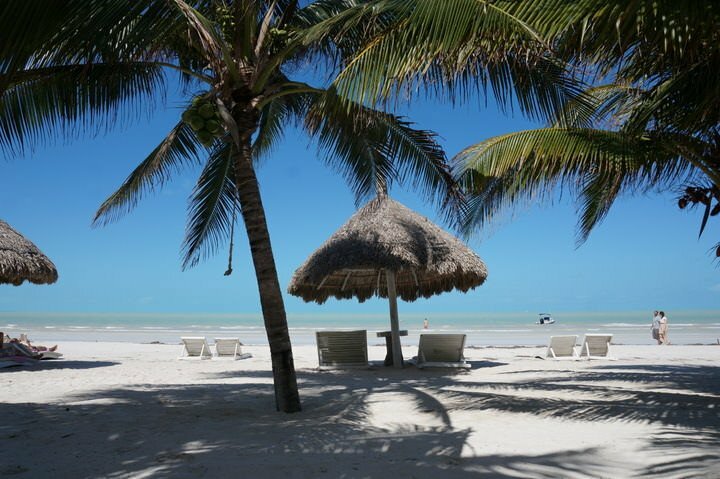 You can mingle with the local Swahili population, go swimming, relax on the squeaky white sand with a book in hand, or just walk up and down the shoreline. Thailand is one of the best beach destinations in the world. 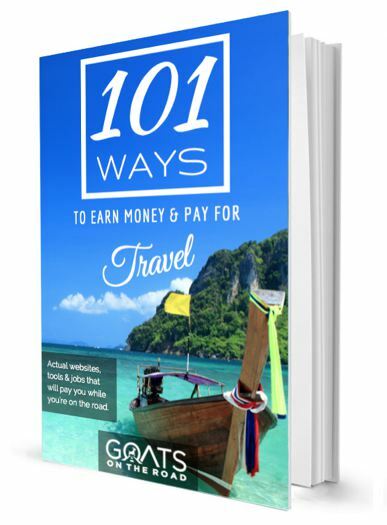 The Island of Koh Phangan is most widely known for its monthly Full Moon parties on Haad Rin Beach. That beach is gorgeous, but is busy as well. The next cove over you’ll find the secluded Leela Beach, which offers tranquil water for swimming & floating, a few rustic bungalows and a more upscale hotel. There are boulders at the far end of the beach that are a good place to fish from, or jump off of! The Philippines as a whole is a great beach destination, but the village of Port Barton on the island of Palawan is extra special. This is a small fishing village, but the beach here is beautiful! The water is great for swimming and the sand is golden. Hire a boat to go on an island hopping tour of the nearby islands, arrange to go fishing with a local, or just chill out. This isn’t an upscale island, it’s rustic and largely undeveloped. People who make the effort to come here are in for a treat. 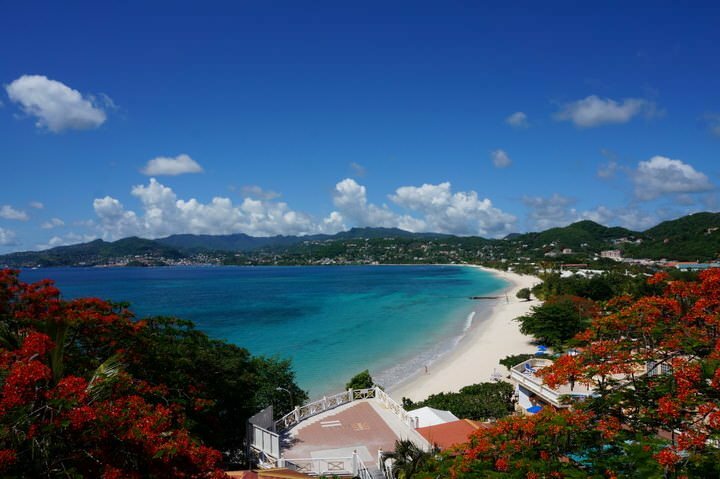 61 Awesome Things To Do in Grenada! Holy moly! You guys have been to so many lovely beaches, well done. I love that Grenada is featured often as I recently discovered how awesome it looks and am thinking it might be my Caribbean winter escape destination next winter 🙂 Or somewhere closer in the Caribbean, I really just want a break from the Ottawa winters 😛 If it’s not minus degrees I’ll consider it a beach vacation! Oh ya, we totally know about Canadian winters!! They’re so cold! I just got back from the Dominican Republic and the beach I liked the most was Playa Limon, only a few kilometers away from the hustle of Punta Cana, but very secluded and absolutely stunning! ooooo, very good to know! We always love hearing about secluded gems. Thanks for sharing! WOW look at all those beautiful beaches. Haven’t been to any of those but we absolutely love West Bay Beach, Roatan, Honduras and Seven Mile Beach in Negril Jamaica. We are heading back to Roatan in Sept. Can’t wait! It really is stunning! We leave Saturday to spend a week there (too short lol). If you ever make it over to Australia you need to check out the south west corner of WA – cape le grand national park has the best beaches I’ve seen in my life so far! Admittedly I’ve not been everywhere but I have been travelling for several years and I’ve found it hard to top it here! A few pics here to temp you over! We haven’t been to Australia yet, but have heard great things about WA! !